After two years and 10,000 miles on the Winnebiko, I was ready for a few changes. 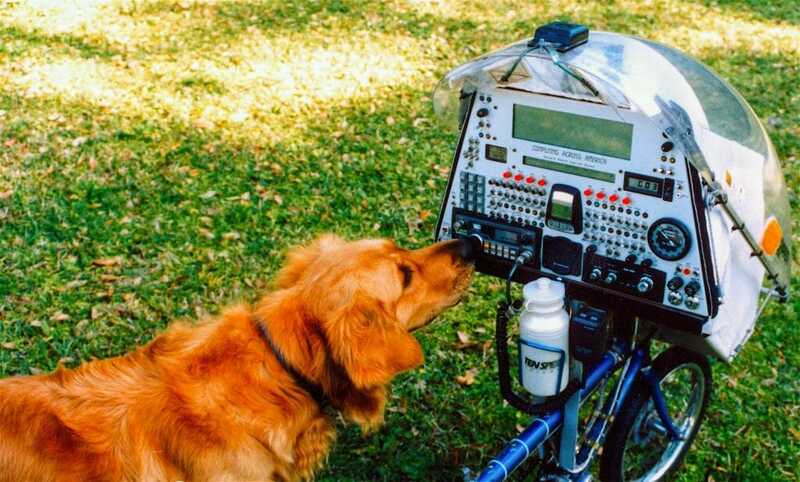 My computational tools had begun to feel primitive, I missed the rich community and toolset of ham radio, I couldn't write (or do much of anything) while riding, there was no on-board development system, and I had grown weary of traveling alone. 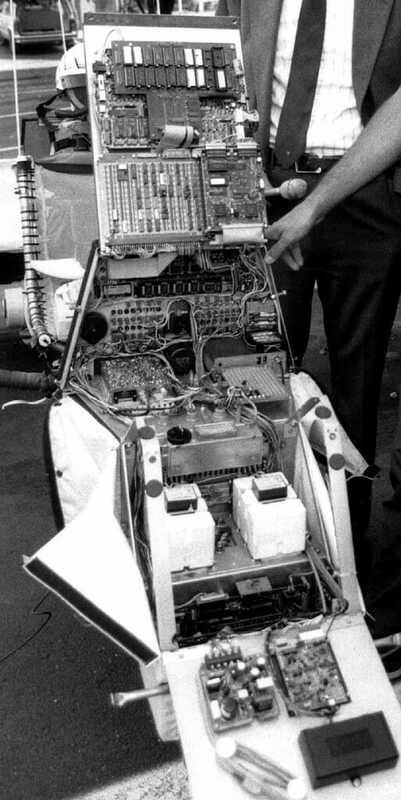 After wrapping up the Computing Across America book project and finding myself pinned down for a few months in a brief flirtation with employment, I threw myself into development of the Winnebiko II. 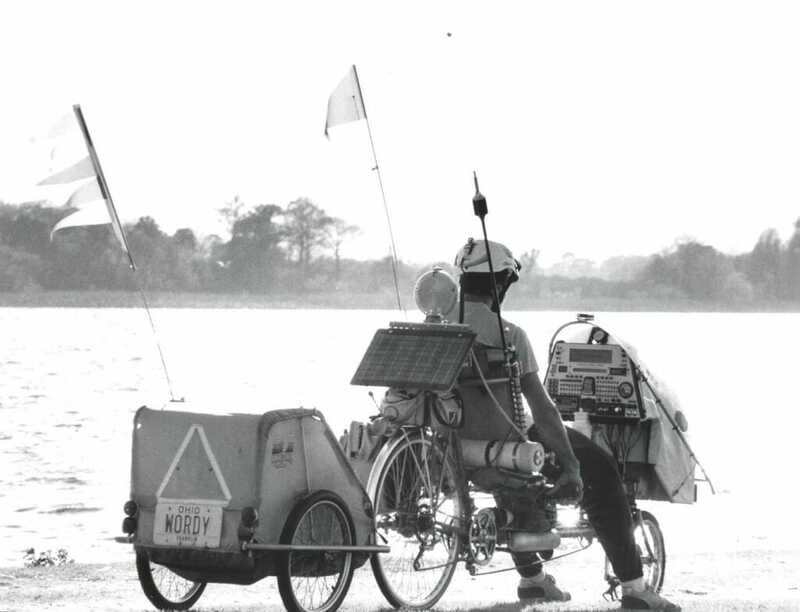 I had already spent months dreaming about what it would take to have a rich set of of capabilities available while pedaling, so the project moved with a swiftness that I remember wistfully. Between my innate geekery and creeping featuritis, this new machine turned into an elaborate contraption... including a binary chord handlebar keyboard that would let me type in ASCII while pedaling. 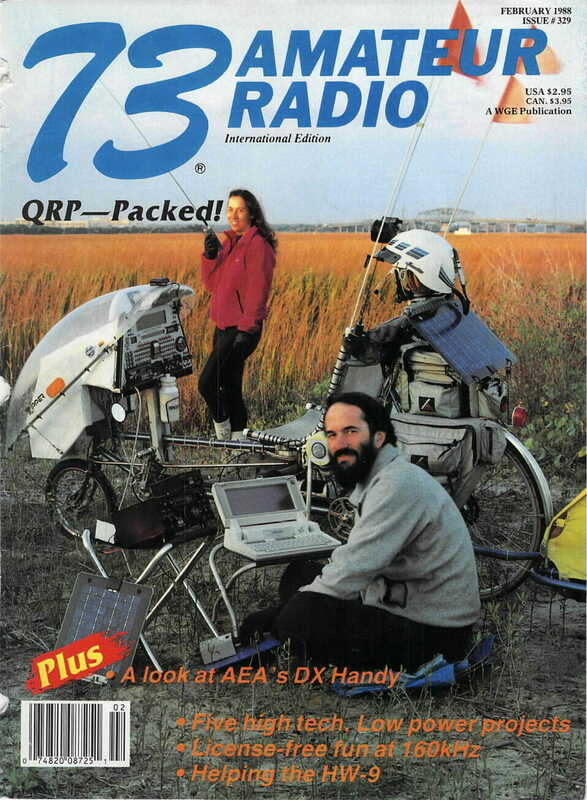 It was total immersion, that summer of 1986, though of course I already had camping gear, business protocols, and the bike itself more or less fine-tuned. 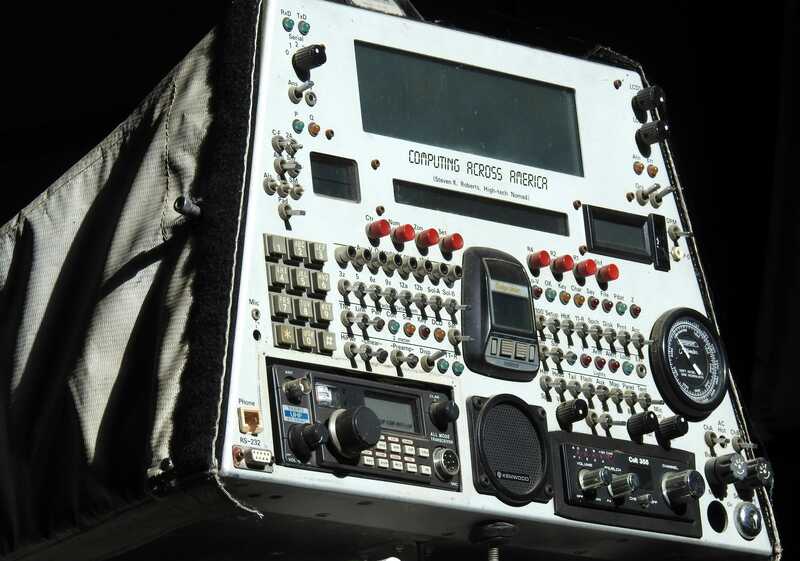 But the geeky parts were intense, and this photo essay of console fabrication gives a sense of the scope... intense learning curves intertwined with development of the bicycle control system, integrated systems including a hacked Model 100, the handlebar keyboard and other services run by an embedded 68HC11 microprocessor, packet data communications, remote-control features, a robust power system with 20 watts of solar panels, and lots of upgrades to the bike itself. I met a woman named Maggie who was willing to abandon her midwest lifestyle and hit the road, and there was a buzz of excitement in the air. In August 1986 we drove a van from Ohio to Vancouver BC, putting the yet-unfinished Winnebiko II on display at the Expo 86 world's fair. After an amazing week of hanging out with human-power and kinetic-sculpture wizards, we found a place on Bainbridge Island (near Seattle) to finish up the major systems... then continued down the West Coast to begin what would turn out to be a 6,000-mile adventure. The timing of all this could not have been better... 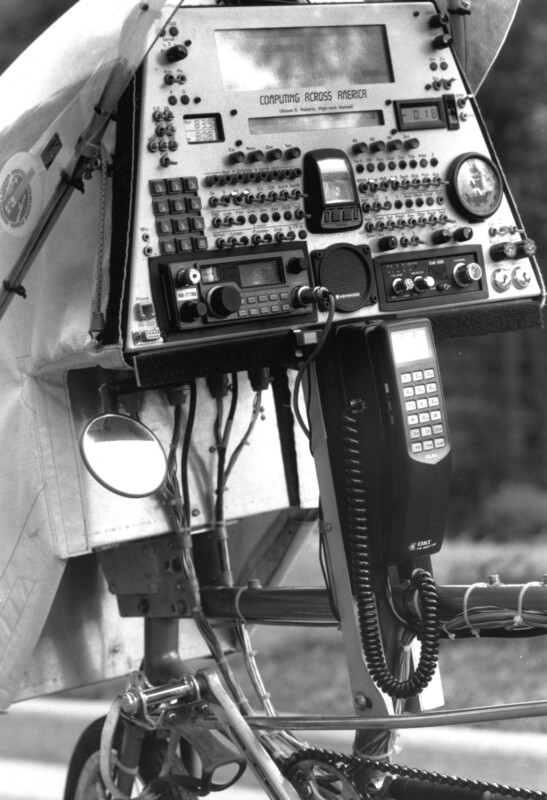 I was using technological tools that were rapidly changing the way people interact, pedaling a geeky machine through the new reality that I called Dataspace. That name never caught on, but it was a delicious concept... a sense of home more defined by information than geography, with relationships of all kinds coalescing in this new non-physical realm. I felt as if I were wandering around my neighborhood, dropping in on friends... and the articles ranged far beyond the obvious tech markets, such as this one in the Whole Earth Review describing my "Electronic Cottage on Wheels." Steven K. Roberts and Maggie Victor, circa 1986-87. Throughout this phase of the adventure, I was publishing on GEnie... with an ongoing online column called "Computing Across America" that had about 50 chapters by the time it was over. Maggie and I made our way down the Pacific Coast, landing in Silicon Valley in February 1987. 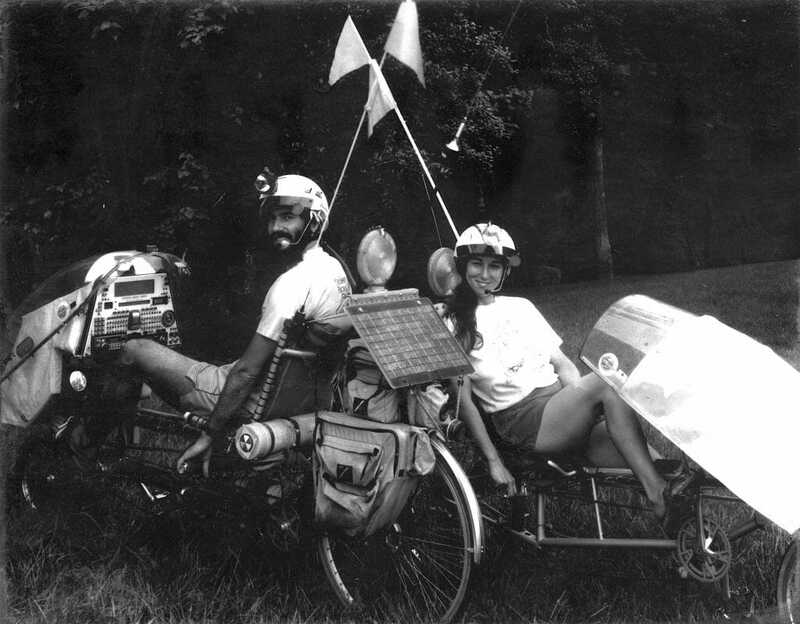 We stayed for a few months of system-building and enjoying interesting people, then drove east in the old van to take care of a few details at the Ohio base-office and then continue the bicycle trip... northeast through Ohio, Pennsylvania, and New York... then down the East Coast to Florida. Here the adventure paused as the book was finally released, with hundreds of pre-ordered copies to sign and ship. We converted an old school bus into a mothership that carried us 16,000 miles over the next year, rumbling around the US to visit trade shows, conferences, hamfests, companies, universities, and friends... converting book sales into gasoline purchases and generally enjoying life. All this was fun, but I was already planning the third version of the bike, keeping my eye open for potential lab space. 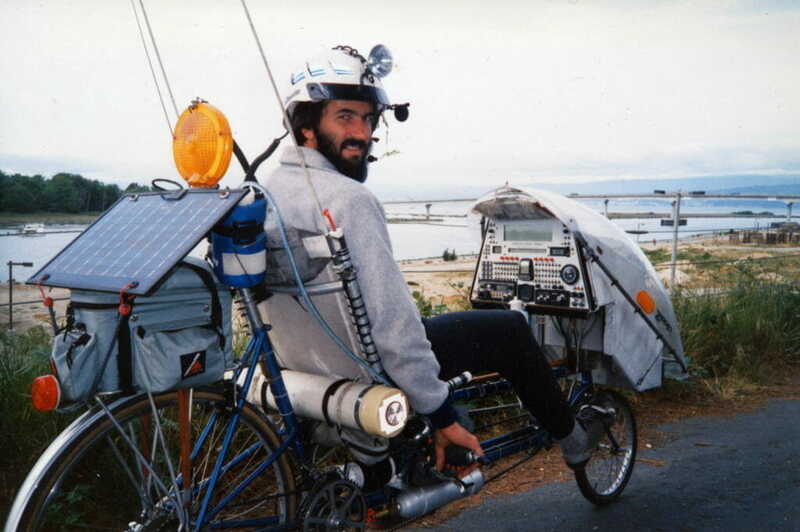 By early 1989, we were back in Silicon Valley, working in the first of many bikelabs to conjure the beast that would roll out three years later as BEHEMOTH. This would be over-the-top in a weirdly satisfying way, but the Winnebiko II shown here was by far my favorite of the three versions. 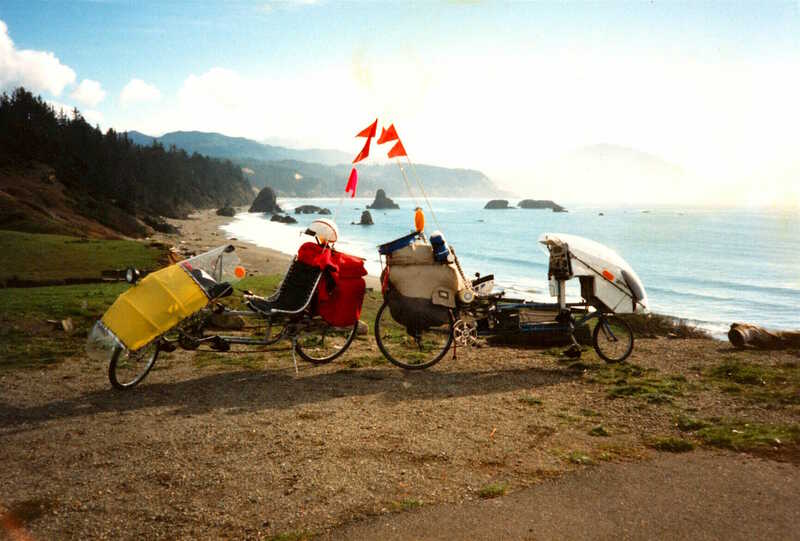 It hit the sweet spot of usability, geekery, practicality, and what my old friend David Berkstresser called weirdness quotient — the bike was packed with technology and delighted the media, yet was light enough to be practical and fun. Although architecturally inflexible, it performed its job beautifully. 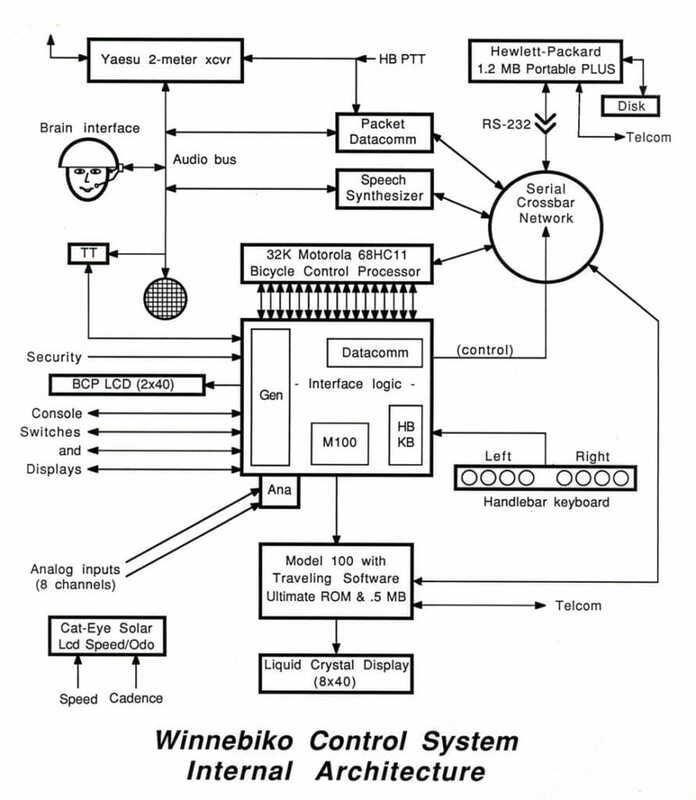 Winnebiko II console at the very end of its era, just before the beginning of the BEHEMOTH project. The Oki 491 cellular phone was fully embedded into the new bike, supporting multiple resources (modem, fax, credit card verifier, cordless phone, answering machine). My old documentation binder contained this 1987 document describing console operation, and it reveals the gritty level of the interface compared to the sleek systems we now take for granted. 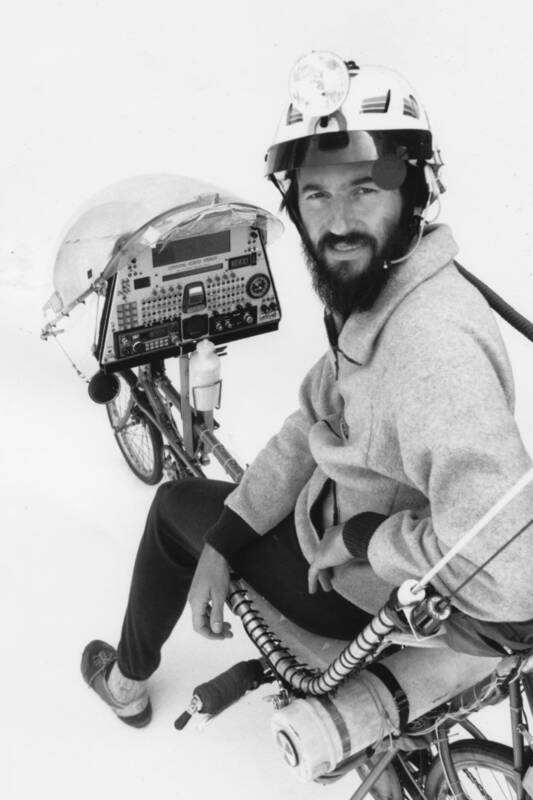 I smile when I see old video interviews in which my fingers play over the switches to boot the control system or send Touch-Tone sequences via ham radio to make the bike talk. If you'd like to learn more, here is a discussion about the anatomy of the Winnebiko II that describes the system in more detail.